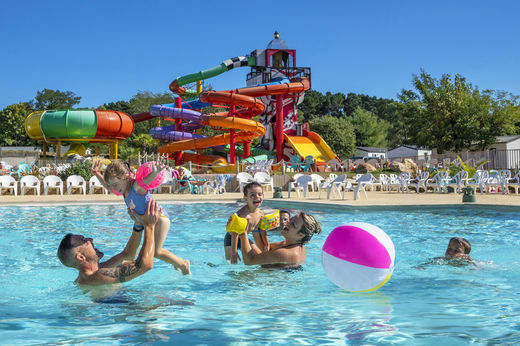 Campsite Le Cénic - Réserver en ligne sur capfun.com! The campsite is the perfect starting point to discover Penestin with its 25 km of coastline and in the immediate vicinity the Guérande Peninsula. The campsite offers rentals of mobile homes & cottages. 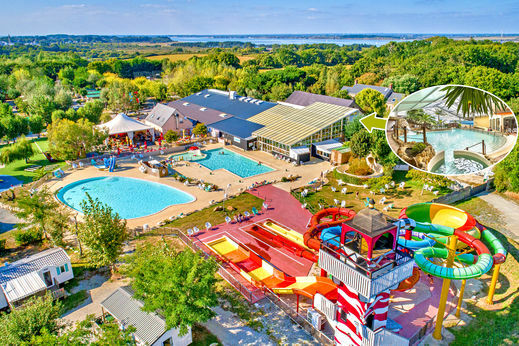 The campsite has a good quality indoor and outdoor water park. You can enjoy the two indoor heated pools, water slides, and a whirlpool. Besides, there are also two outdoor pools and two paddling pools, as well as Double Slide, Fast Slide and Spacebowl water slides! Penestin is a coastal town offering lovers of the sea 25 km of coastline and many activities. Discover Penestin by visiting the Tréhiguier lighthouse dating from the seventeenth century, the menhir called "Pierre Blanche" that is nearly 4 meters high and don't forget to taste the delicious mussels that are the hallmark of the region. 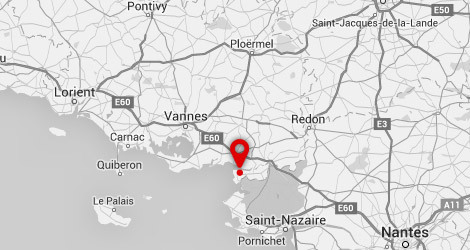 Go for a family trip and discover the menhirs of Carnac and the Quiberon peninsula. Enjoy a great day exploring Belle Isle, the largest island of Brittany. Finally you can do some kite surfing or do a ropes course in the forest. The campsite has 2 aquatic areas. 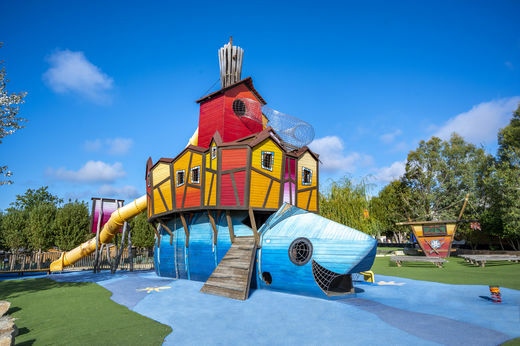 The first is open from 05/04/19 and has 1 outdoor pool, 1 indoor pool, a paddling pool and the Spacebowl water slide. 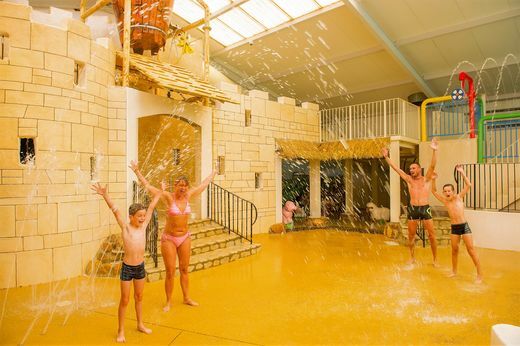 The second area opens on 01/07/19 and features an indoor pool, an outdoor pool and a paddling pool. Super camping. beaucoup d'activités pour les enfants. piscine couverte fraiche en début de séjour. les enfants se sont éclatés avec les toboggans. hébergement au top du top : nous avons eu l'agréable surprise d'avoir un mobilhome neuf, avec 2 douches privatives dans chaque chambres et 2 wc. Douches froides à la piscine. il manque des voilages dans les chambres. Quand les travaux seront terminés ca sera top! Camping bien situé et un super espace aquatique intérieur qui permet de s'amuser même en cas de mauvais temps. Have a look at the inside of the swimming pool! The campsite CÃ©nic from up above!